As an Amazon Associate I earn from qualifying purchases. Please read my full disclosure for more information. Have you noticed the rising cost of pure vanilla extract lately? I’ve been trying hard to find any sort of reasonable price for what seems like a year now. Usually, this means buying a small bottle at ALDI as needed (when I used to purchase 16-ounce bottle at bulk pricing). McCormick Pure Vanilla Extract is 53% off today only! How does this compare? 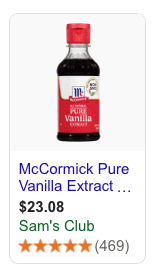 Sam’s Club sells McCormick Pure Vanilla Extract in 8-ounce bottles for $23.08 currently. That price is valid only for Sam’s Club members, of course – and it works out to $46.16 per 16 ounces (or $2.89 per ounce).  You’ll pay only $1.06 per ounce with this deal today! Don’t wait – this item is likely to sell out at this price. You can save even more if you use the Subscribe & Save program. Thanks, Brandy! Save 30-35% off other baking essentials today, including Ceylon cinnamon, organic gluten-free flours, spices, baking mixes and more. Note: The price can change at any time (and may even be different than shown), so please check carefully before completing your purchase.